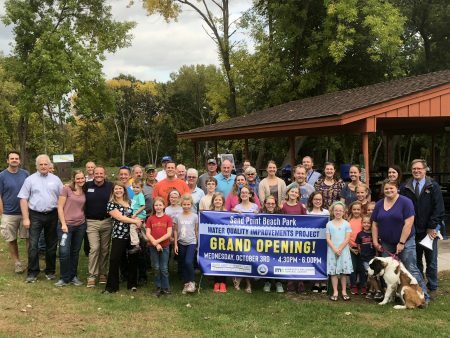 Many thanks to those who were at the Sand Point Beach Park Clean Water Project Grand Opening yesterday! It was a huge success & it was awesome to see so many smiling faces and helping hands. 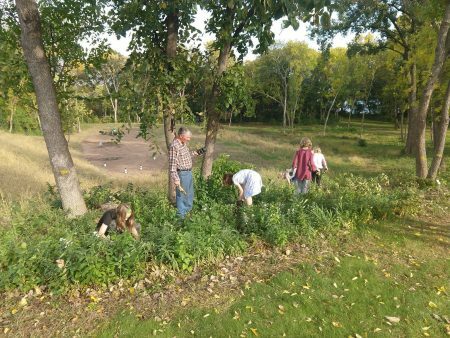 Several groups helped ‘Plant the Prairie’ groups including: Jr. Naturalists, Boy Scouts and a Robotic’s Team, along with other volunteers. The native prairie plants have deep roots which absorb excess nutrients and provide erosion control. Thank you to all who helped and were willing to get their hands dirty! 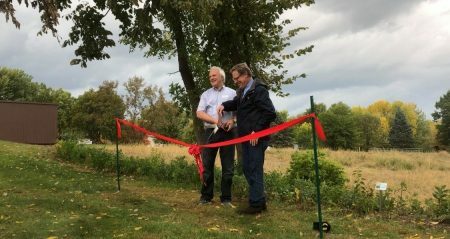 The night followed with caramel apples, a wonderful explanation of the project and a ceremonial ribbon cutting with Prior Lake Mayor Kirt Briggs and PLSLWD Board Manager Curt Hennes. The weather held off and we couldn’t have asked for a better evening! Check out our Facebook page for some great photos from the event.